I read your article about Photos for OS X and the app looks great. What can I do with my current iPhoto library to get it ready for the transition to Photos? The glib answer is “nothing.” When you finally get your hands on Photos for OS X (which is slated to be released sometime this northern-hemisphere spring) and launch it, you’ll be asked if you’d like to import your iPhoto library. 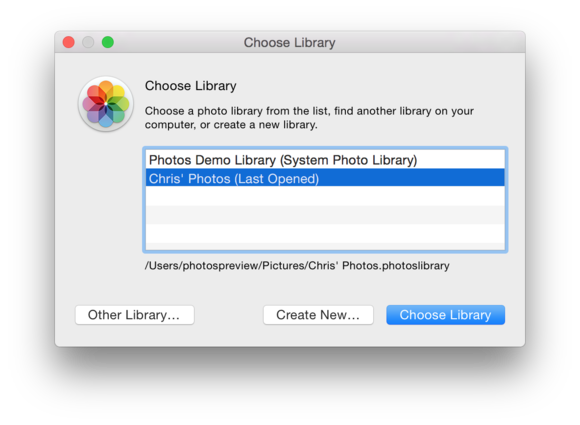 (If you have multiple iPhoto libraries, you can hold down the Option key while launching Photos and then, in the Choose Library window that appears, select a library to use.) Note that cloud syncing works only with the default System Photo Library. As with iPhoto, by holding down the Option key at launch you can choose a library for Photos to open. As I explained in my first look, this won’t cause Photos to duplicate your existing images. It will simply work with those images. If you like, you can still launch iPhoto and work with your images there—with the understanding that any edits you apply will appear only within the app you used to apply them. So much for glib, let’s talk details. First, now is as good a time as any to start clearing out duplicates in your iPhoto library. I recently addressed this in How to Cull Your iPhoto Library of Duplicates and Bad Photos. I’d suggest you read through it and apply the tips I suggest so that your Photos library isn’t as cluttered with cruft as your iPhoto library was. If you intend to store your photos in the cloud via Photos’ iCloud Photo Library option, you may want to do more than just remove duplicates and poor images, particularly if you have a very large photo library. Apple provides you with just 5GB of free storage and the iCloud Photo Library counts against that storage. (You can always purchase more storage.) To keep your photo storage under 5GB it may require some serious culling. Consider archiving your meh images and importing just the best ones. 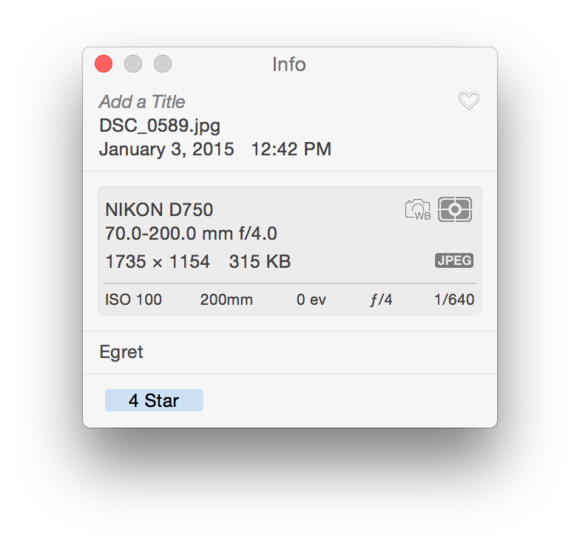 Star ratings become keywords when you import an iPhoto library into Photos. You might also rate your images while they’re in iPhoto. Photos lacks the 0 – 5 Star rating system—it instead allows you to make an image a favorite. However, it takes the star ratings you’ve applied in iPhoto and turns them into keywords. So later, if you’d like to find all your most highly rated images, just enter 5 Star in Photos’ Search field and any images that bear that keyword will appear. And if you haven’t identified faces within iPhoto, why not do that while you’re waiting for Photos to arrive? That faces metadata will transfer over from iPhoto. In short: Do your housekeeping now so that when Photos finally arrives your images will be rarin’ to go from the very first launch.